Who Has Liability in Self-Driving Car Accidents? Driving may be part of everyday life in most of America, but that does not remove the risk that is present every time someone gets behind the wheel. Although speed and road conditions are always factors when vehicles collide, in most cases, operator error is to blame. 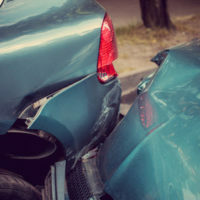 When an accident does occur, and someone gets injured, retaining the services of an attorney experienced in personal injury law, and especially vehicle accidents, can be crucial to ensuring that the injured individual can recover compensation for his/her injuries. A new trend that has emerged, and is claimed to reduce vehicle crashes due to operator error, is the self-driving vehicle. However, practically, these claims have not been proven, and, humans continue to be superior operators of vehicles. One issue that has come to the forefront as self-driving vehicles have begun to appear on the roadways is the liability when these vehicles are involved in an accident. An unfortunate example is a New Hampshire crash involving a self-driving Tesla vehicle, which split in two and enveloped in flames after crashing into a tree, sending the three passengers to local hospitals. A discussion of the evolution of self-driving vehicles, and legal issues in accidents involving self-driving vehicles in Florida, will follow below. Self-Driving vehicles are being implemented in stages, as illustrated by a report from the National Highway Traffic Safety Administration (NHTSA). From completely driver-controlled vehicles to completely driver-free vehicles, it is contemplated that self-driving vehicles will be on the road within the next few years. Further, to address the issue of who exactly is the operator of a vehicle, as many laws assign rights and responsibilities to the operator, Florida law has deemed that the person who causes the vehicle’s autonomous technology to engage, regardless of whether he/she is physically present in the vehicle while the vehicle is operating in autonomous mode, is responsible for any accident that follows. The individual’s injuries are a direct result of the failure. So, as is apparent, the question that arises is who is the operator of the other vehicle if that other vehicle is a self-driving vehicle. And, further, in light of the Florida statute cited above, and in light of the stages of autonomous vehicles in the NHTSA Report, who is the legal operator of the vehicle. Since self-driving vehicles on the roads today are not truly self-driving, in that a human operator has the ability to take over when necessary, it seems logical that the operator will be considered to be the person behind the wheel, as is the case with current normal vehicles. An analogy that illustrates this concerns reliance on a vehicle’s brakes to work. If they malfunction, regardless of the reason, the driver is still considered to be responsible. If, however, the owner and/or operator of the self-driving vehicle had no control over the event, it is possible he/she could seek contribution from, or the injured individual could initiate a legal action against, the auto manufacturer or the company that made the technology that ultimately caused the crash under a products liability claim. If you suffered an injury as a result of an accident involving a self-driving vehicle, and you or they are curious who might be liable, contact the experienced personal injury attorneys at Pita Weber Del Prado as soon as possible. The attorneys at our office have years of experience in automobile accidents, including complex issues of liability with self-driving vehicles. Call today and let us work with you to plan a strategy for receiving the compensation you deserve. Contact our Miami office for a free initial consultation.